Space per pupil: 45 sq.ft. 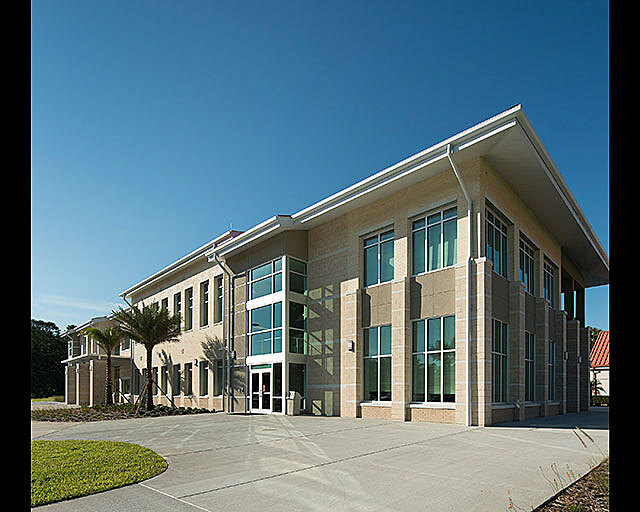 The new 24,865 square-foot building on the Palm Coast Campus for Daytona State College is the first building on this satellite campus in more than 20 years. The goal of the project was to create an academic building that would meet the needs of the next generation of students and create a sense of place on the small campus. The academic building includes linear technology classrooms, a collaborative lecture hall, multi-function classrooms, collaborative zones, a student lounge, a bookstore and café, and office spaces. 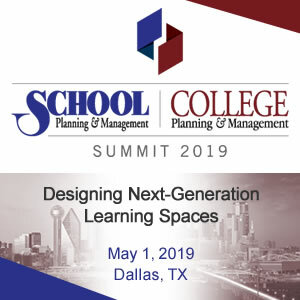 With a focus on collaboration and technology-based learning, the building’s circulation and educational spaces encourages learning to occur everywhere. The building’s structural grid is designed around a module, which allows for adaptability and flexibility of over time. From the site planning process, the design aimed to create a pedestrian friendly connection between the buildings. A palm-tree lined “Campus Commons” plaza connects the two buildings and helps create a sense of place on the campus. The student lounge, located at the entry of the building, is a highly utilized space directly adjacent to the Commons. To encourage the 21st century concept that learning should occur everywhere, the building’s circulation is filled with technology to support student learning at all times. 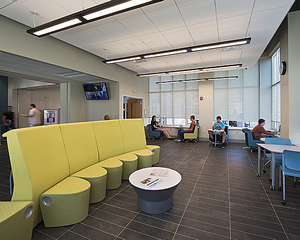 Outlets are located throughout the circulation space to provide recharging stations and wireless access that keeps the students connected at all times. These “niches” in the corridors become “collaborative zones”. Clear coat dry erase paint in some alcoves also encourage a collaborative environment. Moveable furniture in the classrooms allow for a wide variety of learning modalities including lecture-based or small group learning. During the programming phase, the building’s structural grid was optimized for ultimate flexibility. Designed around a module, different types of classrooms can be configured with minimal impact to the building systems. A 68-by-34 module can contain a multi-function classroom (with operable partition), a collaborative lecture hall, two TEAL Labs, a technology expandable classroom, or two linear technology classrooms. Utilizing operable partitions in the multi-function classrooms allow for a linear classroom to expand to a larger lecture-based classroom. Wall mounted flat screen TVs increase viability of the curriculum. The furniture in the collaborative lecture hall consists of tables organized to allow for students to face the instructor during a lecture-based class, or turn their chairs to collaborate in smaller groups. 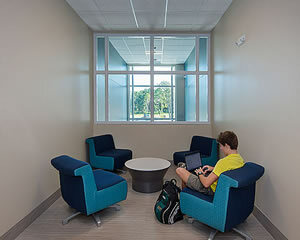 Wireless access points and integral powered furniture support the technology-based learning. The tiered floor is constructed with light gauge metal framing in lieu of concrete. This detail reinforces the flexible planning concept and allows for easy renovation of spaces in the future with minimal impact to building systems. 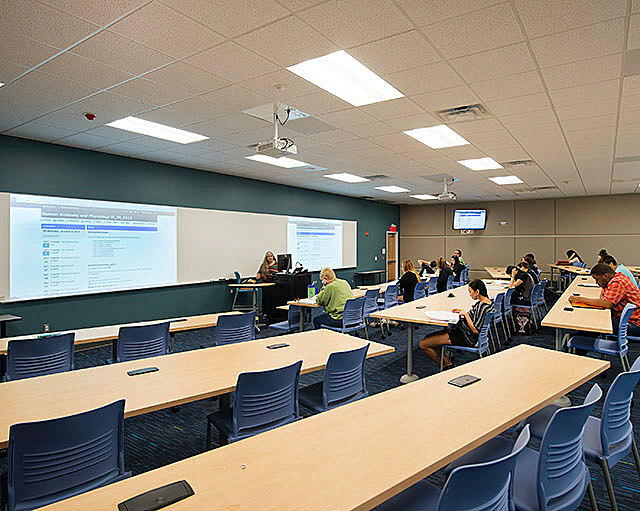 The classroom spaces utilize a state-of-the-art short throw projector, wireless technology, and projectable /writeable surfaces helping to create the 21st century classroom spaces in the building. Some classrooms utilize computer-integrated furniture and wall mounted flat screen TV’s connected to computers to allow for easier review of curriculum material. The use of materials and design aims to mirror the natural environment setting of the campus. 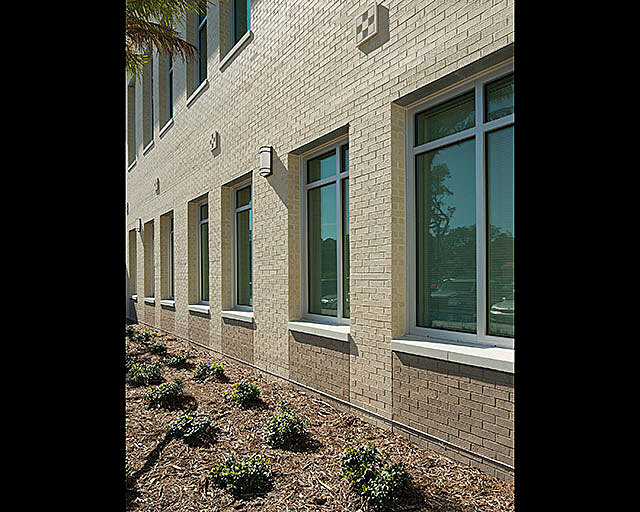 Utilizing warm tones of face brick, integral color ground face CMU, and painted stucco, the building aesthetic emphasizes this connection with nature. Simple geometry and tall windows allow for natural light to emphasize the bold colors on the inside of the building. Additionally, precast medallions and stucco reveals add another level of scale to the outside of the building. 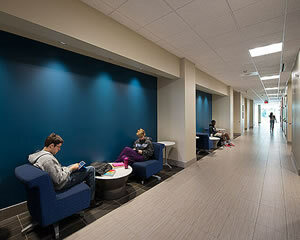 Vibrant accent paint and furniture emphasizes collaborative areas of the building. The red roof is consistent with the other building on campus. Clear-coat writable paint is provided in some collaborative zones in the corridors to encourage the concept that learning occurs everywhere. The building utilizes access control at all exterior doors and closed circuit security systems. Additionally, passive security measures, such as the location of the campus security office at the entry of the building, provides another level of safety on campus. The building achieved a Level 1 Green Globes certification from the Green Building Initiative. Site-sensitive practices, such as preserving several mature trees, providing native non-invasive landscaping and water efficient irrigation helped create a green design. 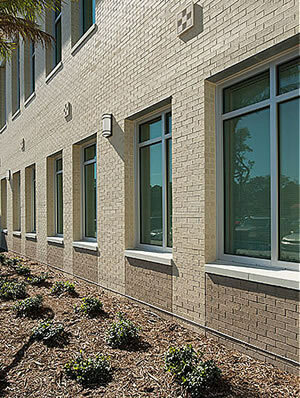 The campus is also tobacco free and the building utilizes low emitting materials. 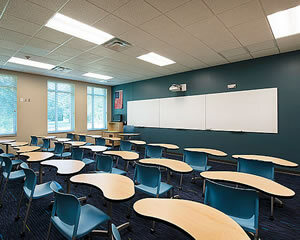 The daylight filled classrooms boast LED lighting and occupancy sensors to reduce lighting energy use. Efficient mechanical systems, dual flush water closets, and efficient plumbing fixtures helped to create very energy efficient building. An independent commissioning agent reviewed the mechanical and electrical systems. Electrical Engineer: OCI Associates, Inc. Mechanical Engineer: OCI Associates, Inc.